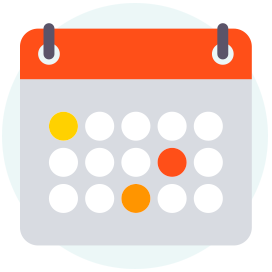 Costs for essential services are offered based on family size and income. Appointments are available the same day of request at all locations pending daily schedule. received primary medical and dental services. President and CEO of Family Health Centers of Southwest Florida, Inc. He joined FHC in August 1999. Dr. Mazzeo received his B.A. degree from Adelphi University at Garden City, New York in 1967. He earned his dental degree from Case-Western Reserve University in Cleveland, Ohio in 1971. His fellowship in Periodontics was completed in 1992 with the United States Navy. After receiving his dental degree, Dr. Mazzeo served two years with the United States Navy as a dental officer. 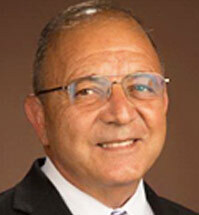 In 1973 he moved to Naples, Florida and maintained a private practice in general dentistry for 12 years. He returned to the Navy in 1985 and received advanced education in Periodontics. Upon completion of active duty, he returned to Naples, Florida. He is a Retired Captain in the United States Navy. 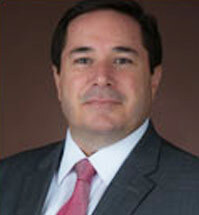 Dr. Mazzeo has a faculty appointment at Boston University, Goldman School of Dental Medicine and A.T. Still College of Dentistry in Arizona. Dr. Mazzeo has worked with the Community Health Center system for fourteen years. He has served as chair of the Board of Directors of the Migrant Clinicians Network and chair of the Naples Marine Institute. He has served on Florida State Senate Health Sub-committees and Florida State Legislative Dental Health Councils. He is a board member of the Oral Health Policy Development council for the Federal Bureau of Primary Health Care. He is also a member of the American Dental Association. Dr. Mazzeo and his wife, Susan, have two grown children, Dana and Frank. Jorge M Quiñonez, M.D., is Executive Vice President and Chief Medical Officer of Family Health Centers of Southwest Florida, Inc., and is responsible for the oversight of all FHCSWF pediatricians, family practitioners, internal medicine physicians and all mid-level providers. In this role he provides clinical leadership and supervision to all of our Children’s services and Family Practice. Dr. Quiñonez received a Bachelor of Science degree in 1987 and a Medical Degree in 1992 from Universidad Francisco Marroquin in Guatemala City, Guatemala. He also did a year of Pre-Medical studies at Fordham University in New York City, N.Y. 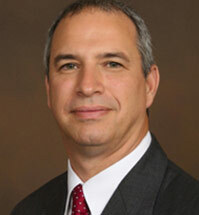 He completed a Pediatric Residency from the University of South Alabama in Mobile in 1995. He functioned as Chief Resident of Pediatrics from 1995-1996. From 1996 to 1998, he did a Clinical Pediatric Infectious Diseases Fellowship at the Tulane University/Louisiana State University combined fellowship program in New Orleans. He also obtained a Certificate of Business Administration for Physicians from Auburn University in 2003. 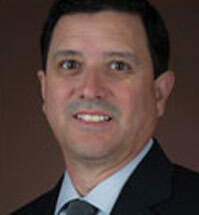 From 1999-2005, Dr Quiñonez served as Medical Director of the Children’s Medical Center of the University of South Alabama; from 2001-2005 he served as Chief of the Division of General Pediatrics for the Department of Pediatrics of the same institution. He also served there as a member of the Residency Training Committee for the Department of Pediatrics and as a member of the Graduate Medical Education Committee for the University of South Alabama College of Medicine. He has also been elected and served as president of the Mobile, Alabama Pediatric Society. He has been serving as Medical Director of Pediatrics of FHCSWF since July 2005. He is Board Certified and re-certified in Pediatrics. He is a Fellow of the American Academy of Pediatrics and a Member of the Community Health Committee and a Member of the Infectious Diseases Society of America. He is a Member of the Scientific Advisory Council and a Fellow of the Society for Clinical Pediatrics. Dr Quiñonez has received the Robert O. Harris III Award to the Outstanding Pediatric Resident from the University of South Alabama in 1994 and has received the Clinical Young Investigator Award from the Southern Society for Pediatric Research in 1996. He has been awarded research grants from the Gorgas Tropical Medicine Foundation and from the Children’s Health Foundation and has also participated in several clinical research projects with pharmaceutical companies. In the past he has been on the board of speakers for Glaxo Smith-Kline. He has numerous clinical publications in major pediatric journals and continues to be a reviewer for the Clinical Pediatrics Journal. Dr Quiñonez is an avid sports fan, in particular of the game of baseball. He has played Roy Hobbs Adult Baseball both in Mobile and Fort Myers for the last 6 years. He also has great interest in Military History and Theology and enjoys reading on these topics extensively. Dr Quiñonez and his wife, Claudia, have three children, Jose, Sofia and Elena. Claudia is an architect. Theresa joined the staff of Family Health Centers of Southwest Florida in January 2003. She has over 20 years’ experience as an Executive Assistant to top management of various organizations. Teri is a graduate of the Greater Ft. Myers Chamber of Commerce Emerging Leaders Class of 2007 and is currently working on completing her Bachelor’s Degree in Business. Robert P. Palussek served as Administrator for the Florida Department of Health in Lee County from October 2014 to June 2015. Immediately prior to this role he was employed as Associate Administrator for the Highlands Regional Medical Center promoted to Chief Operating Officer in March 2013. 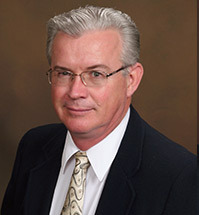 He served as the Administrator for Highlands County Health Department from December 2008 to August 2012. Before his appointment to this position, he functioned for two years as the Finance and Accounting Director for the Highlands County Health Department. He started his public health career at the Monroe County Health Department. He worked for two years as Senior Management Analyst, responsible for all budgetary activities. As a certified bank merchant he worked for ten years in the corporate banking environment in Germany. He earned his associate ‘s degree in banking from Karlsruhe Chamber of Industry and Commerce in 1996. He spent 1997 serving with the Federal Defense Forces of Germany and received an honorable discharge as lance corporal. He received his degree in Business Administration from the Academy for Administration and Business in Karlsruhe, Germany. 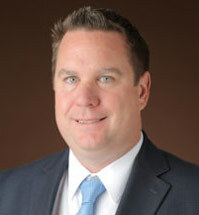 Robert holds an MBA in Management from the State University of New York’s Empire State College at Saratoga Springs. He is a graduate and co-salutatorian of the Florida Public Health Leadership Institute at the University of South Florida. Robert also graduated from the National Public Health Leadership Institute at the University of North Carolina’s Gilling School of Global Public Health. He has also held positions with the Florida Public Health Association, Florida Association of County Health Officers and was a member of the National Public Health Finance Steering Committee. He believes in meeting patient ‘s health needs in the most efficient and cost effective manner, as well as improving the quality of all people’s lives. 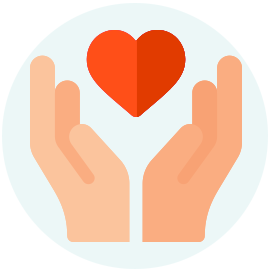 He supports open communication, involvement, empowerment, and the recognition of excellence. David Koester, SHRM-CP, PHR, is the Vice President and Chief Human Resources Officer for Family Health Centers of Southwest Florida, Inc. He joined FHC in 2013, was promoted to Director of Human Resources in 2014, and was named Vice President / CHRO in 2016. David holds a Bachelor’s Degree from the State University of New York at Albany, and has worked in Human Resources for over 20 years. He holds certifications from the Society of Human Resources, and the HR Certification Institute. David serves as the Co-Chair of Florida Healthcare Workforce Council, Southwest Region, and is active in several other Human Resources groups and charitable organizations. 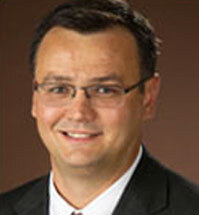 Nick Roller joined Family Health Centers in 2012 as the Director of Information Technology. He was named the organization’s Vice President and Chief Information Officer in 2016. 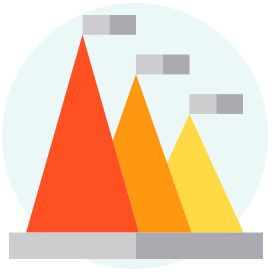 Nick has over 30 years of experience in the field of Information Technology. While earning his degree in Electrical Engineering from Hofstra University, he was also beginning his career in Information Technology as a computer operator/programmer with Chemical Bank in New York. Nick has also worked for Calvin Klein Inc. as the Network Manager and KingWorld Productions / CBS Enterprises in New York, as the Director of Information Technology. Nick is a member of the Rotary Club of Ft. Myers and has completed the Ft. Myers Chamber of Commerce Leadership Program. Dr. Carrie Poulsom joined Family Health Centers in November 2003 as a Pharmacy student. 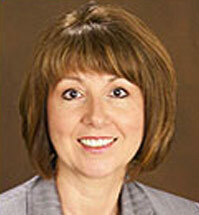 During her tenure here, she has served as a Staff Pharmacist, Pharmacy Manager, and Pharmacy Director. 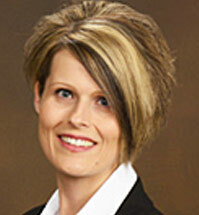 In January 2008, Carrie was promoted to Vice President of Pharmacy Services. She is responsible for overseeing all aspects of Family Health Centers pharmacy services and operations. Carrie received her Associates of Science degree in 2000 and continued her education at Nova Southeastern University where she received her Doctor of Pharmacy degree in 2004.